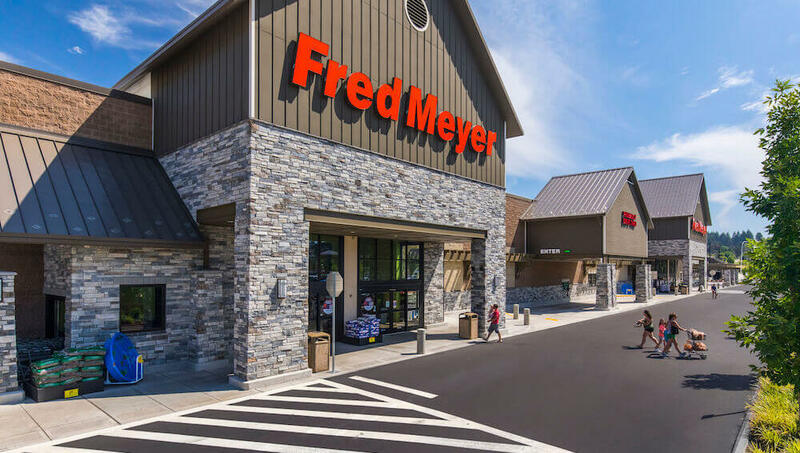 This new mixed-use development features a 145,000-square-foot Fred Meyer. The project comprises eight retail buildings and a Fred Meyer fuel center. The development features a modern architectural approach, maintaining many trees and features including plazas and pedestrian access. Construction began in late 2015. Local road and transportation improvements included sidewalks, planter islands, road extensions at both Southeast Misty Drive and 169th Avenue, and lane enlargements. A new traffic signal was installed at Sunnyside Road and 169th Avenue.